“Don’t give up hope. Sometimes it snows as late as may, but summer always comes eventually.” – Eleanor Longden, TEDx Motivational Speaker. Those that have followed me for a while know that I have experienced digestive discomfort for years. Gallbladder surgery last year to remove stones, unfortunately didn’t elevate my symptoms and I have been searching for the “cure” since. I’ve tried juggling a variety of dietary changes (cutting out lactose, wheat, gluten, and more in stages), I’ve had allergy and intolerance testing, and other medical investigations to try and get to the problem with no avail. I personally chose to come off every single one of my medications at the end of last year after a worsening of symptoms and then reading a variety of books including a very informative and quite shocking read, ‘Whole‘, amongst others. 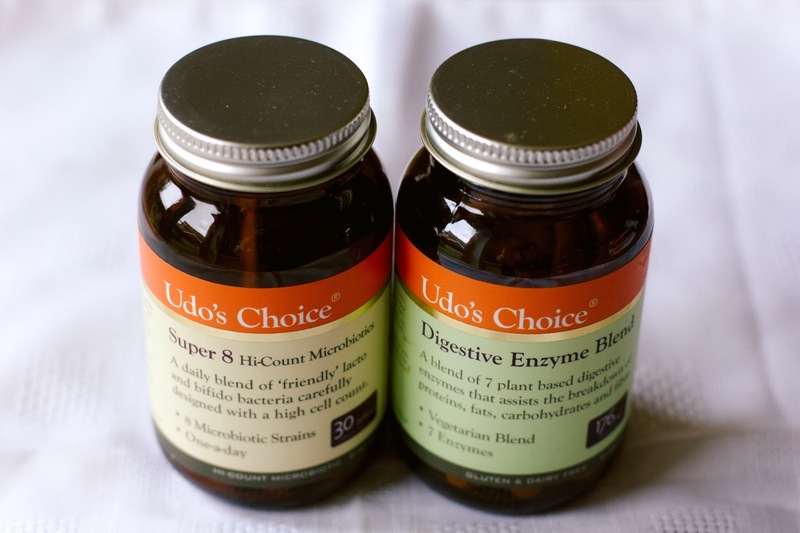 I’d already been taking Udo’s Digestive Enzymes but recently thought I’d try out Udo’s Choice Super Hi-8 Count Probiotic for good measure, and I’m so delighted to have had a reduction in symptoms since. Udo’s Choice Digestive Enzyme Blend contain ten active plant-based all-natural enzymes to assist in efficient breakdown of food to optimise the amount of nutrients absorbed in the gut, while the Super Hi-8 Count Probiotic contain 8 strains of ‘friendly’ bacteria for the gut, which is excellent for bowel and digestive health. Honestly, I couldn’t recommend these highly enough! That fuzzy feeling you get when its raining outside and you’ve just jumped out of the bath smelling of your favourite sweet shop? Yeah, that. That exactly how I felt after using Ruby Red’s body cleanser with extracts of Aloe Vera, citrus, lime, red mandarin, coriander, cedar wood. Lighting candles, I then used the Ruby Red Shea Skin Cream that contains extracts of lemon and honey. 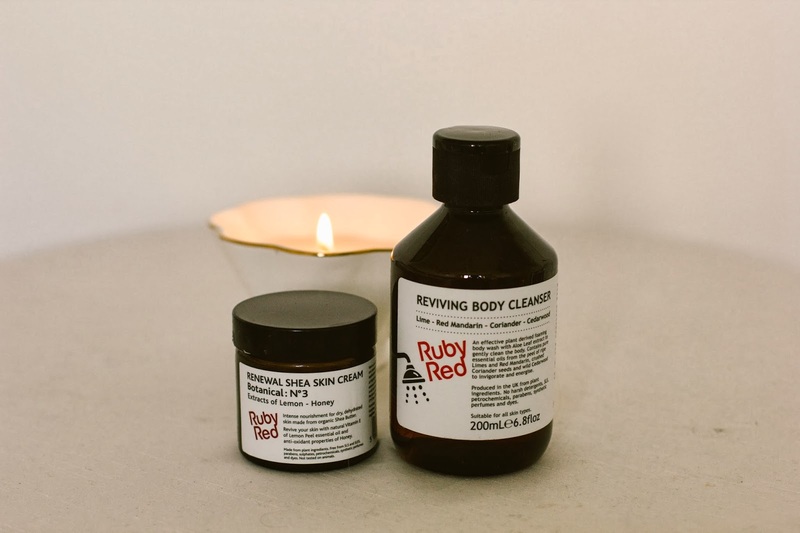 I don’t think my skin has felt so moisturised, nourished and silky in SO long, and these products are 100% natural, bonus! 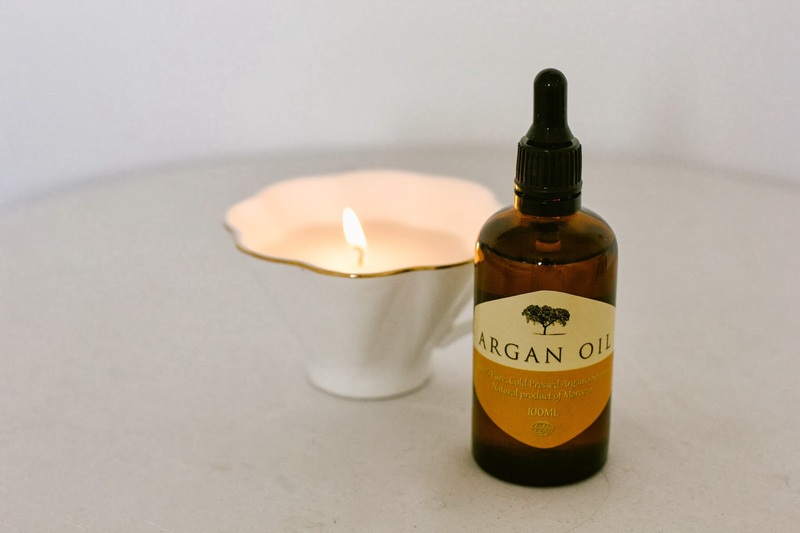 Argan oil, another beauty product on this weeks love list. Actually, I’m loving oils in general right now. This week I’ve experimented with using Argan oil in place of my usual Clinique moisturiser to protect my skin during this harsh, cold period and I believe that even just in seven short days, I’ve seen an improvement in my skins elasticity. Some people worry about using oil’s on their skin if its particularly oily/combination, but as long as you cleanse regularly and properly, you should see the benefits. And, onto food. 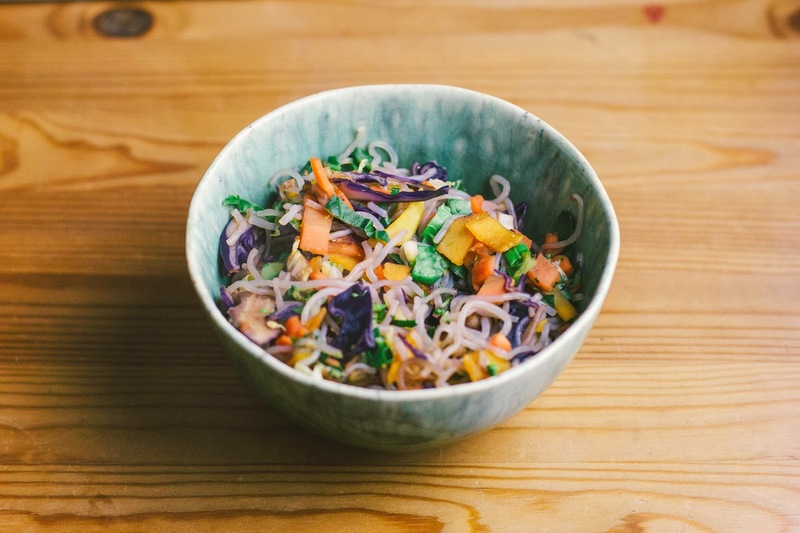 Lunch yesterday was a concoction of left-over veggies, rice noodles, and stir-fried in orange miso dressing. The best thing I’m finding about recovery at the moment? The freedom to experiment with tastes and textures and varieties of foods – there is just so many delicious combinations out there to chose from! For my birthday last week, I was gifted the cook book Forks Over Knives which has quickly become my favourite go-to recipe book for simple, yet delicious (and nutritious!) meals to whip up. Last night I threw (quite literally!) 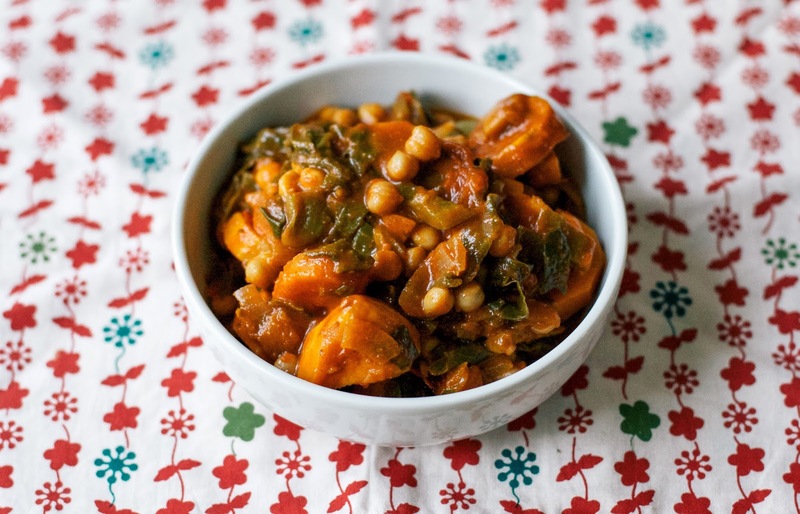 together this easy spanish stew which contained -> 4 sweet potatoes, a can of chickpeas, 1 onion, 3 cloves of garlic, 1 green pepper, a little paprika, vegetable stock, and a little salt and pepper. It was a real hearty meal and I would recommend anyone looking for new vegan recipes to delve into to purchase Forks Over Knives simply for its versatility, and wide range of beautiful recipes that always turn out great! There’s no doubt, I’ll certainly be having fun discovering the delights of the casserole, pasta, stew, dessert, and soup recipes in this books during the weeks to come! What’s on the top of your ‘Love List’ this week? At the top of my ‘love list’ this week is the support of my friends, which keeps me going via texts, messages, etc. Your bowl meals look so fresh and vibrant and delicious! Lol snow in May! Ha! In AZ it is already 90 degrees by then.. I love probiotics, but for some odd reason the capsules have never worked for me. I am looking to purchase some kefir soon… I have never tried Argan oil Lucie let us know how you like it!! I love argan oil, I use it for my beauty routine! Great post!